Bryansk (Russian: Брянск; [brʲænsk]) is a city and the administrative center of Bryansk Oblast, Russia, located 379 kilometers (235 mi) southwest of Moscow. Population: 431,526 (2002 Census); 452,160 (1989 Census). Algirdas of Lithuania acquired Bryansk through inheritance in 1356 and gave it to his son, Dmitry the Elder. Until the end of the century, the town was contested between Jogaila, Vytautas, Švitrigaila, and Yury of Smolensk. The Grand Duchy of Moscow conquered Bryansk following the Battle of Vedrosha in 1503. The town was turned into a fortress which played a major role during the Time of Troubles. During the Time of Troubles, it was occupied by Polish–Lithuanian Commonwealth in 1610 and remained at Polish hands as part of Smolensk Voivodeship until the Truce of Deulino in 1634. Peter the Great incorporated Bryansk into Kiev Governorate, but Catherine the Great deemed it wise to transfer the town to Oryol Governorate in 1779. She also promulgated the town's coat of arms. In the 17th and 18th centuries, the economy of Bryansk, which had become a regional trading center, was based on the Svenskaya fair, the largest in European Russia. The fair was held annually under the auspices of the Svensky Monastery. After cannon and ammunition started to be manufactured there for the Imperial Russian Navy in 1783, Bryansk evolved from a regional market town into an important industrial center for metallurgy and textiles. The city's population exceeded 30,000 by 1917. In 1812 The Grande Army fought the Russians in Bryansk and in Orel. 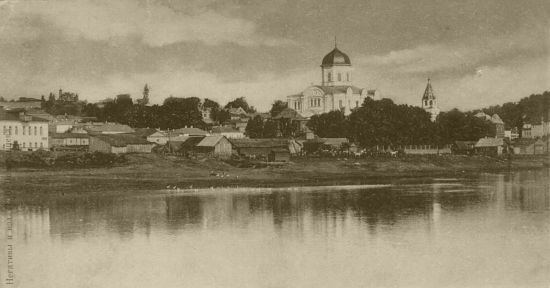 In 1918, the Belarusian People's Republic claimed Bryansk, but the town was taken by Bolshevik forces in 1919. During World War II, Bryansk was captured by the Germans and thereafter occupied (from October 6, 1941 to September 17, 1943), with the city left heavily damaged by fighting. About 60,000 Soviet partisans were active in and around Bryansk, inflicting heavy losses on the German army. 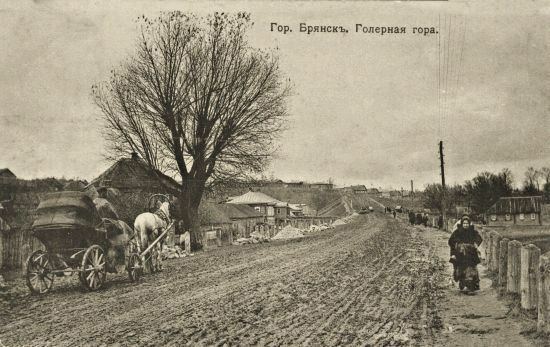 In 1944, soon after its liberation, Bryansk became the administrative center of Bryansk Oblast. Bryansk is the administrative center of the oblast. Within the framework of administrative divisions, it is, together with three work settlements (Belye Berega, Bolshoye Polpino, and Raditsa-Krylovka), incorporated separately as Bryansky Urban Administrative Okrug—an administrative unit with the status equal to that of the districts. As a municipal division, Bryansky Urban Administrative Okrug is incorporated as Bryansk Urban Okrug. Today's Bryansk is an important center for steel and machinery manufacturing, and is home to many large factories. The main industries are machine building, metalworking, chemical, electrical equipment, electronics, wood, textile and food industries, locomotives, diesel engines, freight cars, motor graders, pavers and other road equipment, agricultural equipment, construction materials, and garments. Since 1868, there is a railway connection between Bryansk and Moscow. The city has railway stations: Bryansk Orlovsky and Bryansk-Lgovskiy (Bryansk Bryansk -I and -II, respectively), Ordzhonikidzegrad; Street Bus Station and Peresvet Bezhitsa bus station. fourteen kilometres (9 miles) west of the city lies the Bryansk International Airport. Passenger traffic carried by bus (more than 1,400 cars on 54 permanent urban routes), trolley on 10 regular routes, uses (36 routes), as well as commuter trains and railcars. The cost of public transport (trolley buses) is 16 rubles, and buses, 20 rubles (as of August 2017). The starting price for a train ticket to Moscow is approximately 520 rubles. There are also flights to Saint-Petersburg three times a week. The starting price is 3000 rubles. Russian cosmonaut Viktor Afanasyev, shot put athlete Svetlana Krivelyova, sculptor and architect Naum Gabo, and classical pianist Valentina Igoshina were born in Bryansk. Bulgarian communist leader Stanke Dimitrov (Marek) died in an aviation accident near the city. The writer Leonid Dobychin spent most of his adult years there. Bryansk has a humid continental climate (Köppen climate classification Dfb). 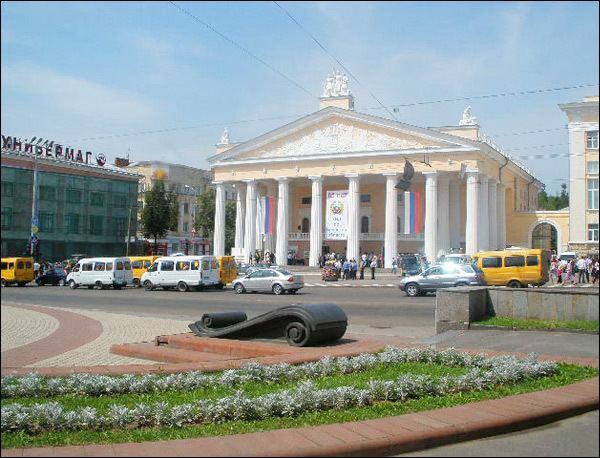 Bryansk has two universities, three theaters, and a technical academy.